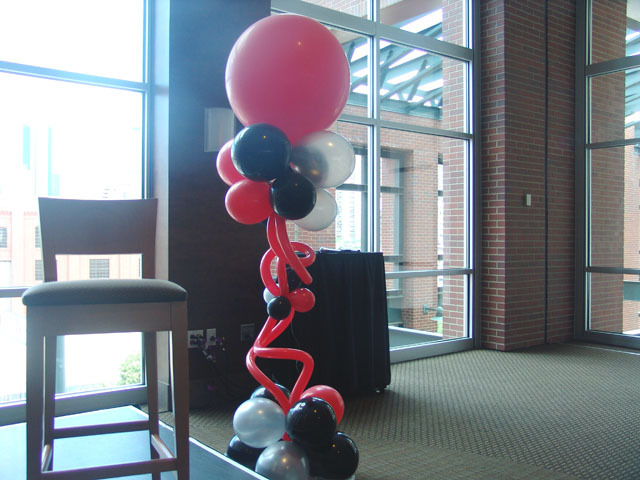 Very Cool Slam Dunk balloon centerpieces! 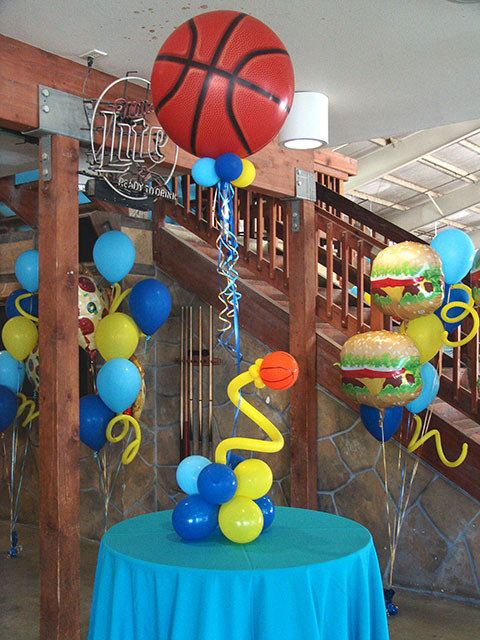 Here are a few custom balloon basketball centerpieces with real swish! 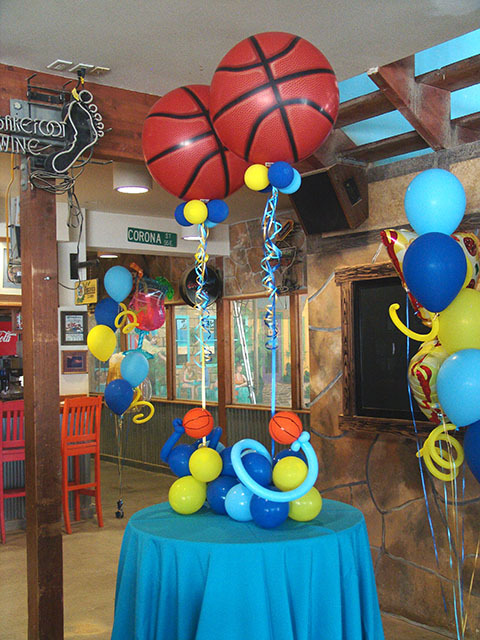 We love working with sports themed parties. Call us Now! We decorate Coors Field clubhouse quite often. Here are just a couple of ideas we used recently. 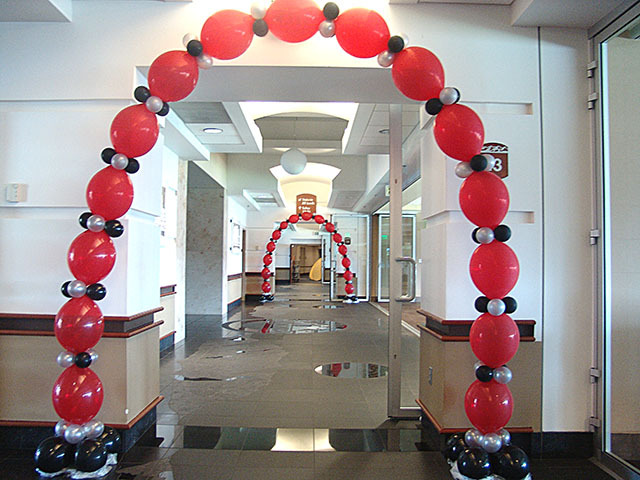 We can work with any theme or color you can think of.